Three and a half years into this crazy world of parenting. And I’m starting to feel like I have a fairly good idea of what children’s products are worth investing in and which one’s aren’t. Obviously different things work for different people and just because a product works wonders for my child, doesn’t mean it’s going to have the same effect for someone else’s. 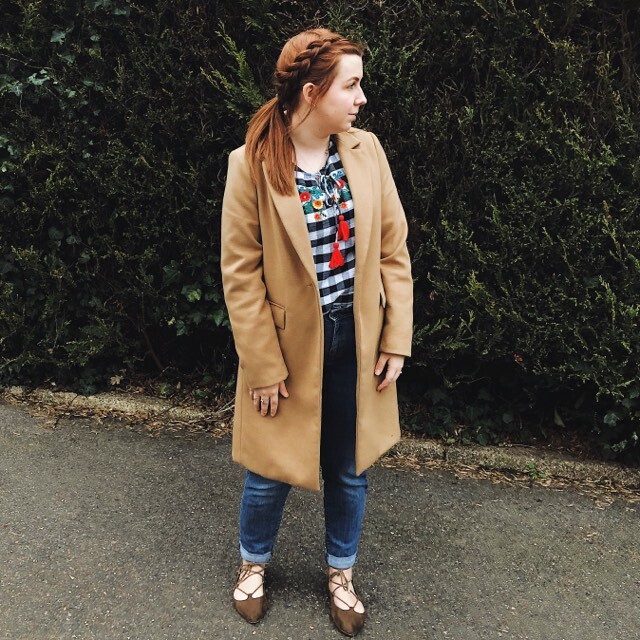 There were plenty of things I was convinced that I needed before Bella was born and have actually ended up never being used and sat in a cupboard in their original box just gathering dust since. But then on the other hand there are others that I didn’t really think I needed but they then turned out to be absolute life savers. 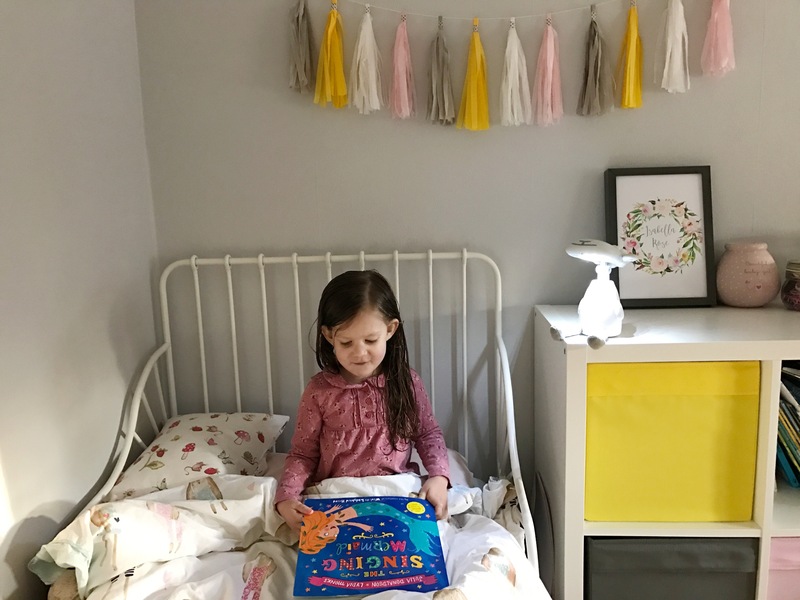 We recently discovered a new product for Bella and it has been a total game changer at making bed times smoother for us all. It’s quickly become one of our must have items and I’ve literally been recommending it to everyone. Even Josh commented the other day on what a difference it has made and we all know that for a man to comment on a children’s product, it’s got to be pretty special! The product I’m talking about is Fin the Zazu Reading Light! Fin is basically a reading light and night light all in one. It is wireless and does not overheat, so is perfectly safe for Bella to take to bed with her. 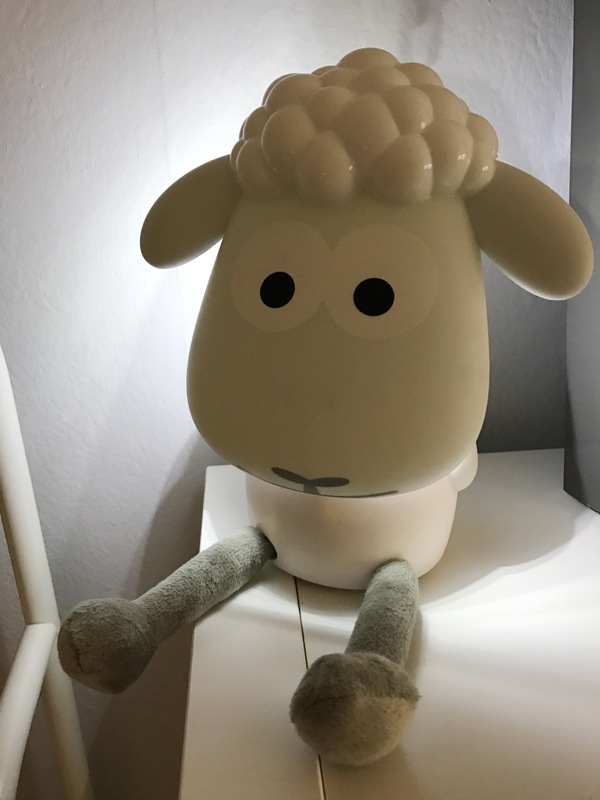 Fin has two light settings, a brighter one which we use for reading and a lower one which makes the perfect night light. My favourite bit is the fact that the light will automatically switch off after 1 hour! So Bella can fall asleep with the light on but it turns off once she’s asleep meaning that she then will sleep through the night in the dark. Bella always used to sleep in complete darkness but when she changed bedrooms a few months back she began asking us to leave her main light on in her bedroom. Obviously this is way too bright and there was no way she would fall asleep properly with it still on! She already had a Gro clock which does let off some light but she clearly felt it wasn’t quite enough. We decided to put my bedside lamp in her bedroom but again it seemed to be a bit too bright and she was struggling to fall asleep still. 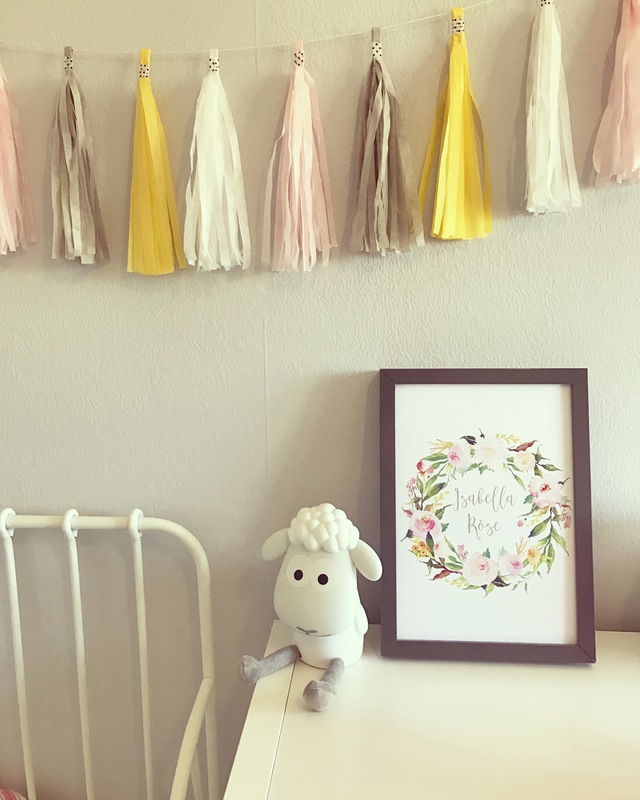 Fin has been the perfect addition to her bedroom. 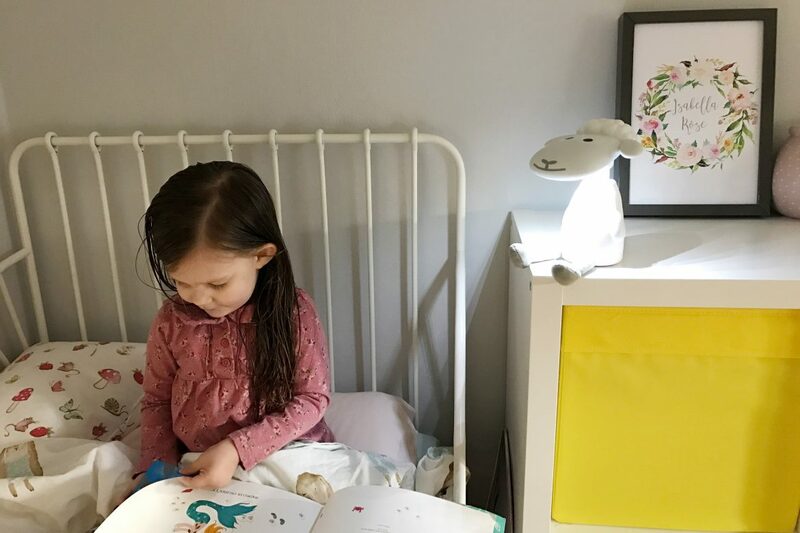 We keep him on the unit next to her bed and when it’s time for her bedtime story we turn off the main light and just use Fin on the brightest setting to read with. Then once it’s time for her to settle down to sleep we turn it onto the low light setting and leave it on for her, knowing that after an hour it will automatically turn itself off. It has meant that there have been no more tears at bedtime about her bedroom being too dark and no more bright glow coming from Bella’s room when we are trying to get to sleep too! 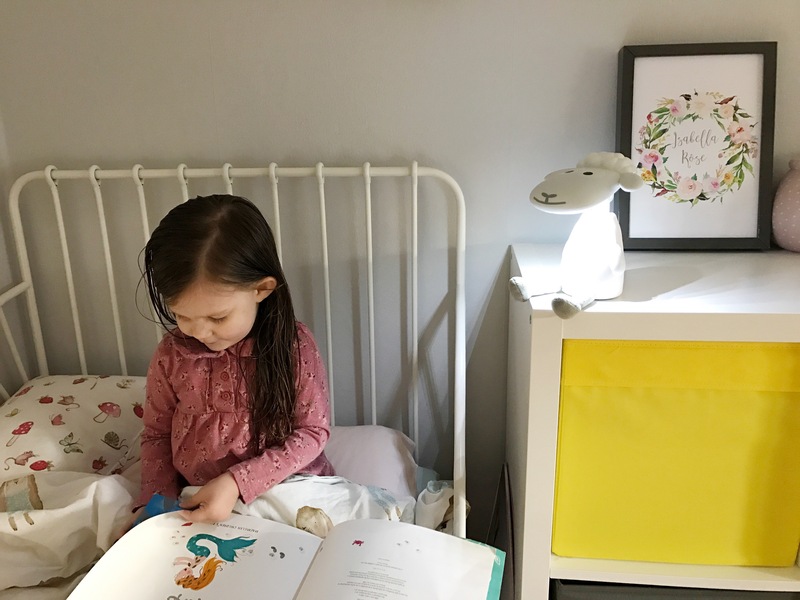 If your little one struggles to fall asleep without a nightlight then I would definitely recommend the reading lights from Zazu. There are a couple of different ones in the range, but we have the Fin in grey. All of them are available from Cheeky Rascals here. What are your must have children’s products? !